A typical Liam Neeson action packed revenge saga that is so unusual. 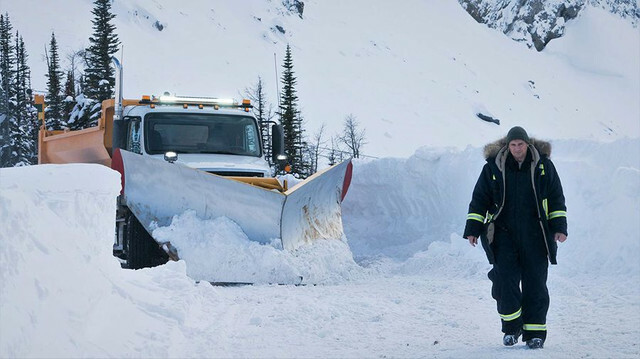 What makes Cold Pursuit stand out among the rest in the genre? Liam Neeson has announced Cold Pursuit as his last action film. However, Cold Pursuit will leave his fans asking for more. For the longest time now, Neeson has been seen either going about mercilessly seeking revenge for some wrong done to a loved one or unrelentingly killing the bad guys in most of his movies. While his fans supported his action hero avatar relentlessly, the Neeson of Schindler’s List, Les Miserable, Kinsey, Mark Felt and likes has been missed. Cold Pursuit has somehow added freshness to his action revenge seeking actor person. Cold Pursuit is an adaptation of Hans Petter Moland's 2014 Norwegian film In Order of Disappearance, for the English speaking audiences. Hans has reworked on the original, adding plenty of dark humour and treated the plot differently. Neeson plays a snowplow driver named Nels Coxman, living happily with his wife Grace (Lauren Dern) and a young son in Colorado. He is honoured as the Citizen of the Year for the good work he does in his small town. His perfect life tumbles down in a flash when his son dies of drug overdose. It is the knowledge that his son was actually a victim of war between two drug lords, namely the Viking (Tom Bateman) and White Bull (Tom Jackson) that breaks Nels and also rocks his marriage. He is contemplating suicide when he realises that revenge is a better option. He sets off on a spree to track down every single person connected to the gangs and their operations, slaying them one by one, making his way up to Viking. He uses different ways to dispatch each person, making it difficult for both the drug lords and the police to trace the source. A local detective Kim Dash (Emmy Rossum) leads the investigation into mysterious deaths of the members of the two gangs. She is driven by her instincts that there is more to it than mere gang war. Every time a gang member is killed, a card with real name and the nickname flashes on the screen. The mysterious deaths of the members from both the gangs aggravate the war between them. Neeson disappears from the plot for a while and the focus is on the growing war between the gangs, which is the penultimate to Neeson bringing it to a conclusion. The film keeps you engrossed and also humoured with some witty dialogues and one-liners. Hans has shown directorial brilliance in his treatment of the original. Cinematography by Philip Ogaard is captivating. Neeson has mastered the art of portraying a broken soul seeking vengeance. Despite the predictability of the plot, it is refreshing and different. 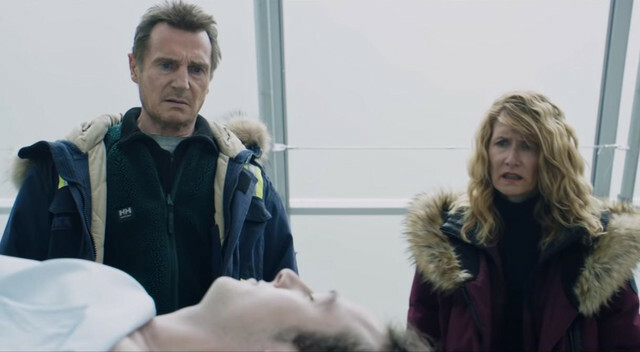 If Cold Pursuit is indeed Liam Neeson’s last action film, it is rightly so.